Newly designed rear upright, geometry of suspension system is optimized. Toe angle is zero. 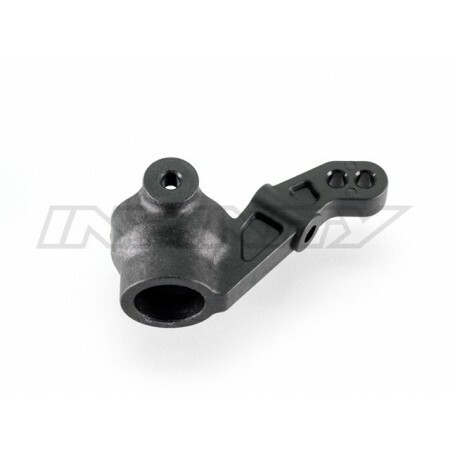 Mounting position of upper arm is optimized at higher point, shim of 2.0mm to be reduced. Lineup of Hard & Graphite material. Hard material suits for fundamental condition and provides stable grip. 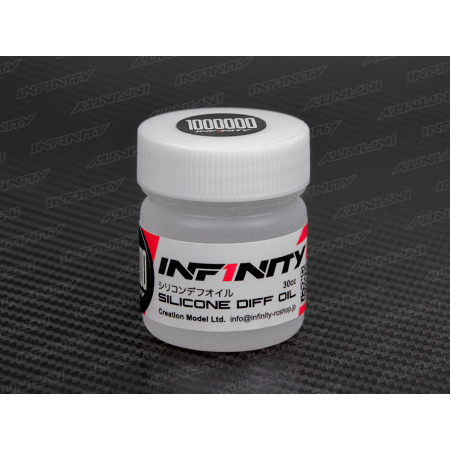 For high grip surface and expecting quick response, graphite material is recommended to use. 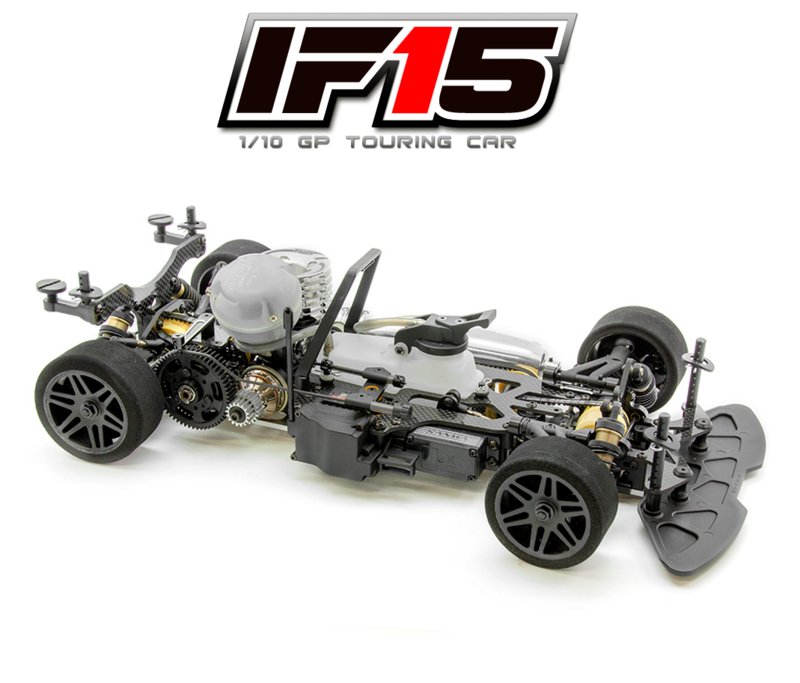 After two years of development, we have finally completed the INFINITY IF15, our new competition GP touring car. Newly designed reviewing material and geometory. Durability is significantly advanced. 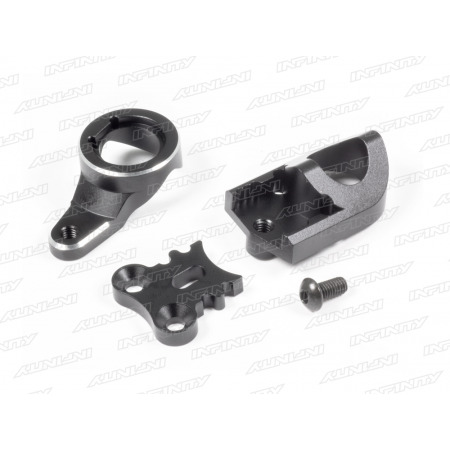 The new suspension holder provides 0.5mm lower than kit normal hinge pin point. Possible to lower the roll center. Combination of roll center and toe angle option, setting range is widen. 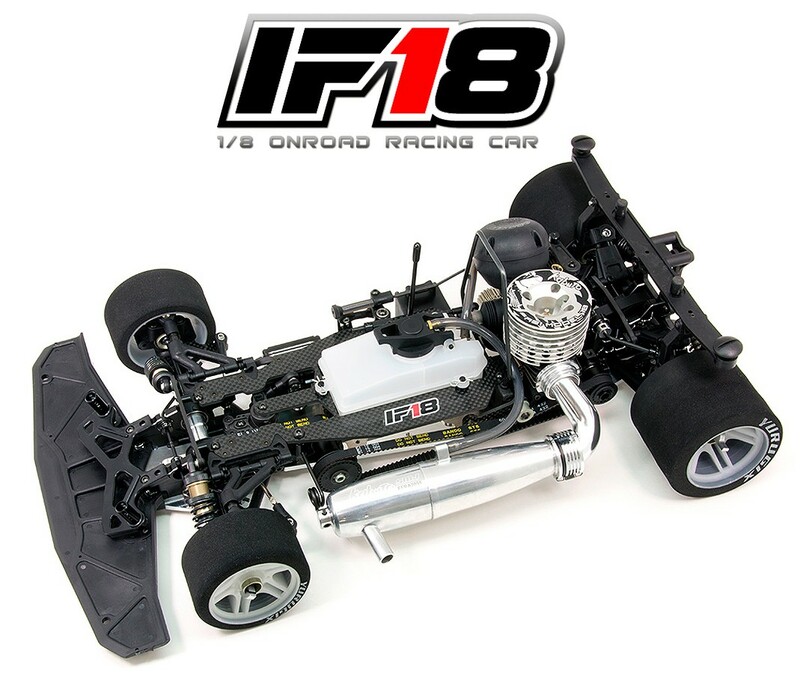 Based on our 2017 World Championship winning Infinity 1/8 platform, that also claimed TQ & Super Pole and filed 5 of the 10 spots on the grid of the Main final, the new IF18 is an evolution of that winning package. 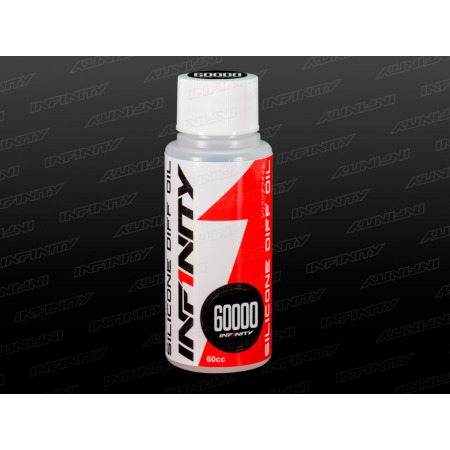 Featuring a number of significant updates, it continues Infinity’s aim to express the spirit of Japanese craftsmanship and new developments include completely new front and rear A7075 bulk head designs. 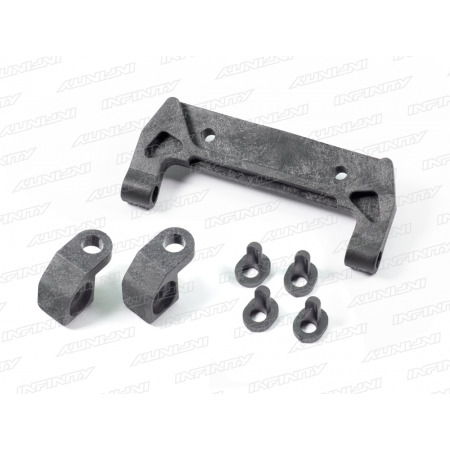 Giving the car a new suspension geometry in combination with longer suspension arms for improved stability, the design has taken into account ease of access to drastically improve the ability to carry out maintenance. 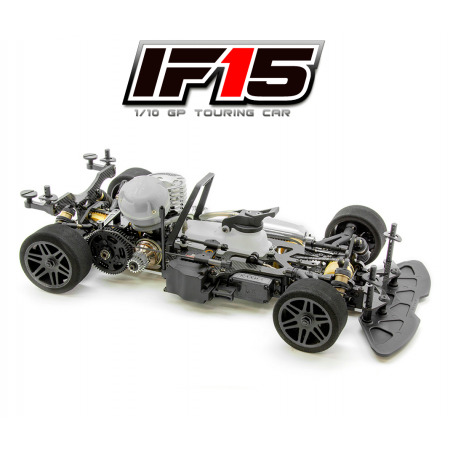 Other key features of the new IF18 kit include the inclusion of a light weight clutch and 2-speed. The IF18 takes a World beating to the next level. 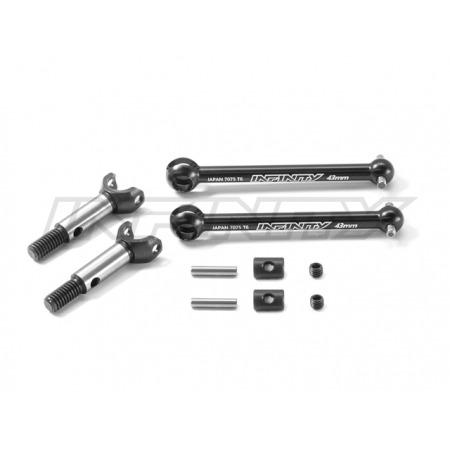 Reviewed steering angle, front D.J.CVD drive shaft. 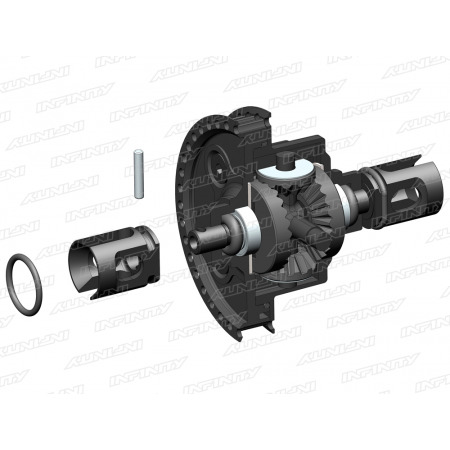 With use of aluminum bell crank (T093), smoothly can provide the drive power at wide steering angle. 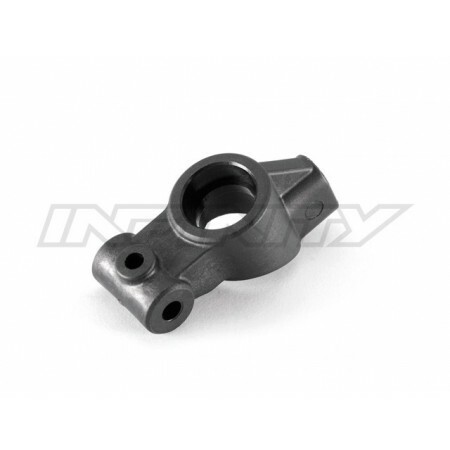 Newly designed steering block. Steering angle stopper is additionally equipped. Steering is adjustable at any angle of incidence. Lineup of Hard & Graphite material. 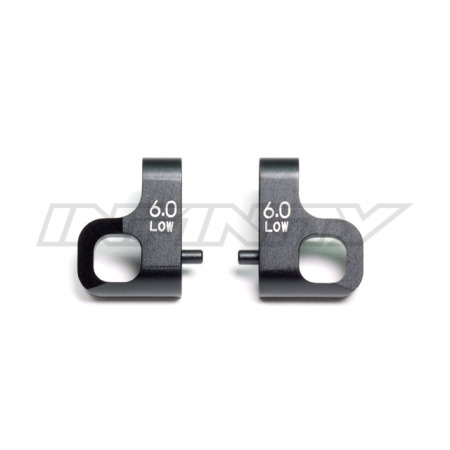 Hard material is suitable for fundamental condition and provides stable grip. 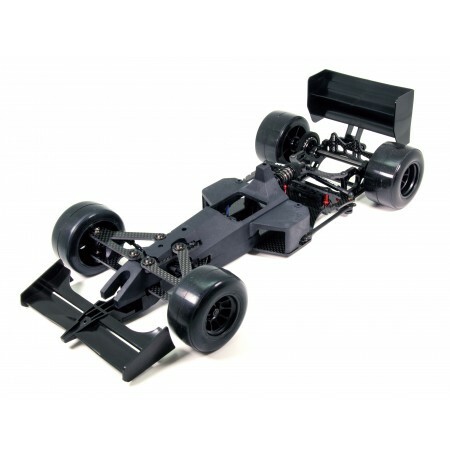 Much-awaited for INFINITY 1/8 GP Racing kit user, the conversion kit for IF18 have finally unveiled ! ! Contents of "STAGE1" are mainly updating of rear section from previous INFINITY chassis. With this conversion kit, super value of IF18 can be experienced. Followed-up massive ease of maintenance for "STAGE2". Revised drive train for better throttle feeling for "STAGE3". Please take a gradual and evolutionary approach for your INFINITY. World wining performance of INFINITY, get along together into the future. 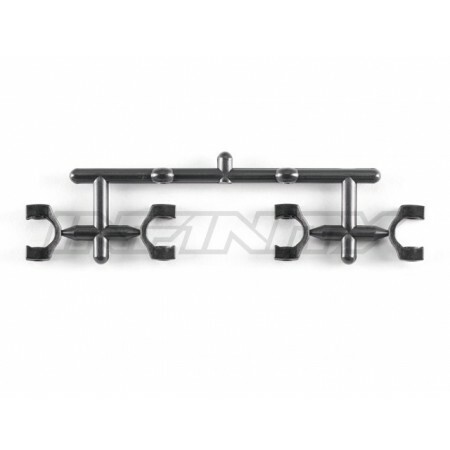 Newly designed shock positions will provide you stable grip balance in various condition. Perfectly suitable when you like to make the driving feel milder than kit normal. The belt roller set will prevent skipping of rear belt of IF14. When it occurs deflection under huge load on the belt, helps the belt to keep at proper position. 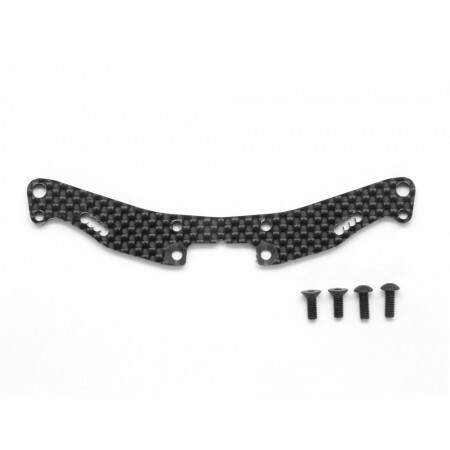 It provides stability of traction and brake control. It lengthens the life of belt. 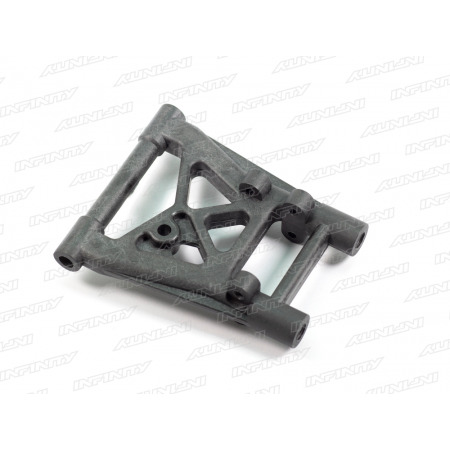 ※No combined usage with T095 REAR BALANCE WEIGHT. 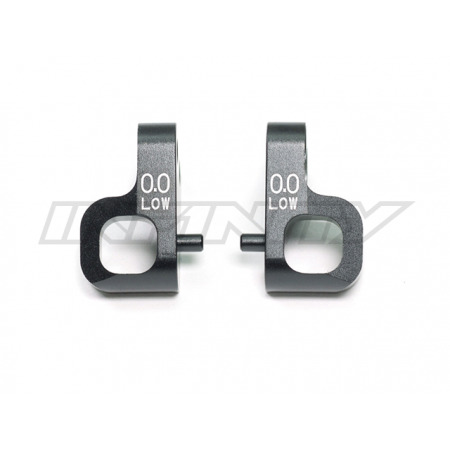 Made of superior quality 1.6mm thickness of U.S.A. carbon material. 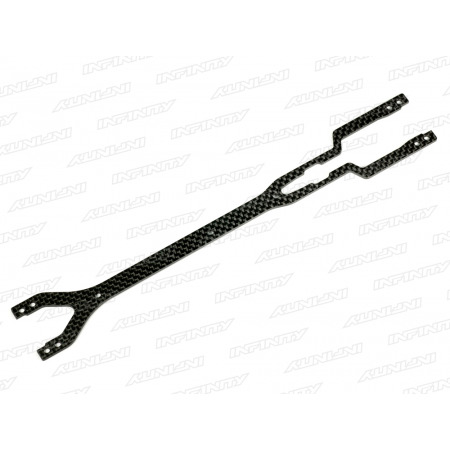 Compare with kit normal thickness 2.0mm, further chassis flex is gained and initial steering response can be increased. Provides great efficiency use with optional Aluminum Flex Main Chassis(T109). Suspension holder directly mounted on lower bulkhead. 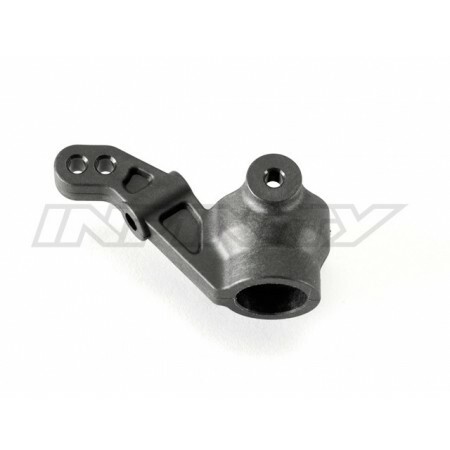 One-piece type aluminum servo, steering mount. Completely renewed symmetry design main chassis and top deck is the optimum adaption that will deliver stable steering feeling and traction control. Machine potential sophisticated at real race scene of TITC, ETS, and CETC by top level drivers. Approx. of 13g heavy weight than kit normal carbon graphite chassis. Suitable for the car to make more lower gravity center like carpet or high-grip surface. 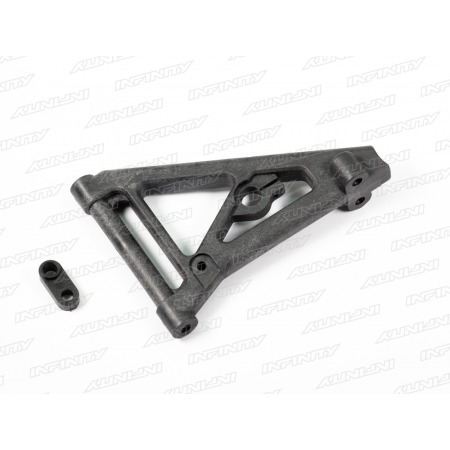 Optimized chassis shape design will provide perfect chassis flex. 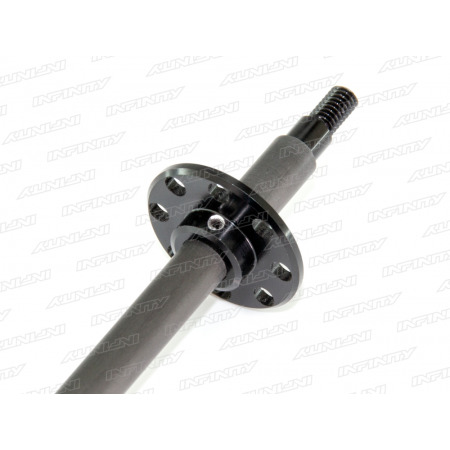 New axle shaft is high-duty concrete steel material used. Grind extremely to the limit and achieved light weight. 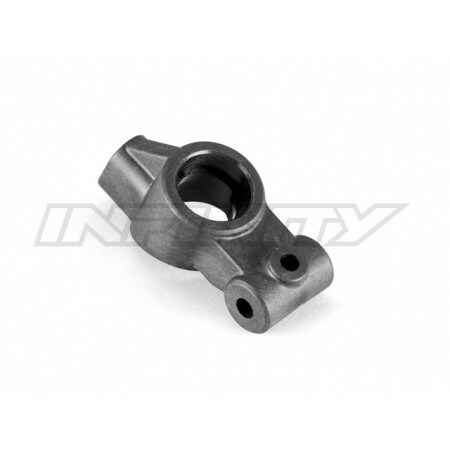 Fit together perfectly with the drive shaft material 7075 T6 made in Japan. 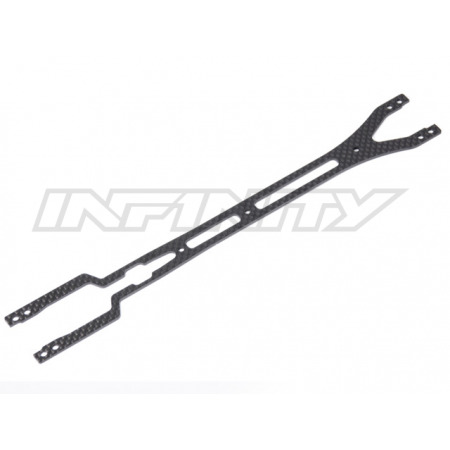 Black anodized drive shaft is light weight and "INFINITY" logo is marked. 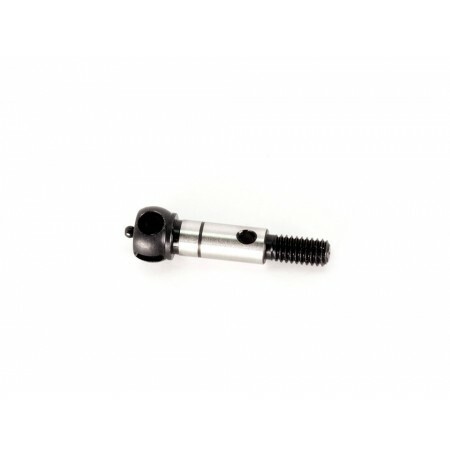 M3 set screw is used at universal spider for simple operation. Each parts are finished as possible as smooth that is with zero waste for further cornering speed and throttle response. Is this a scale model car or a racing car? Does it just look cool or does it run well too? INFINITY has a new product that says "yes" to all these. 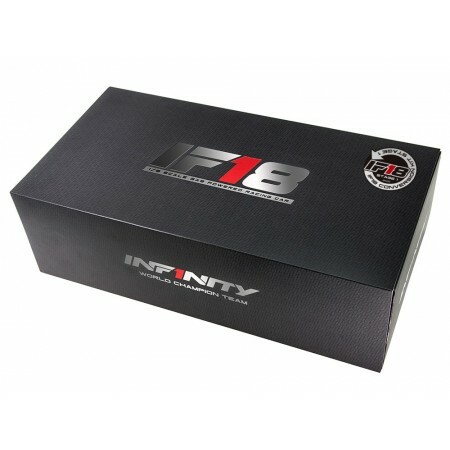 INFINITY has created the IF11 to awaken your passion for F1 racing. 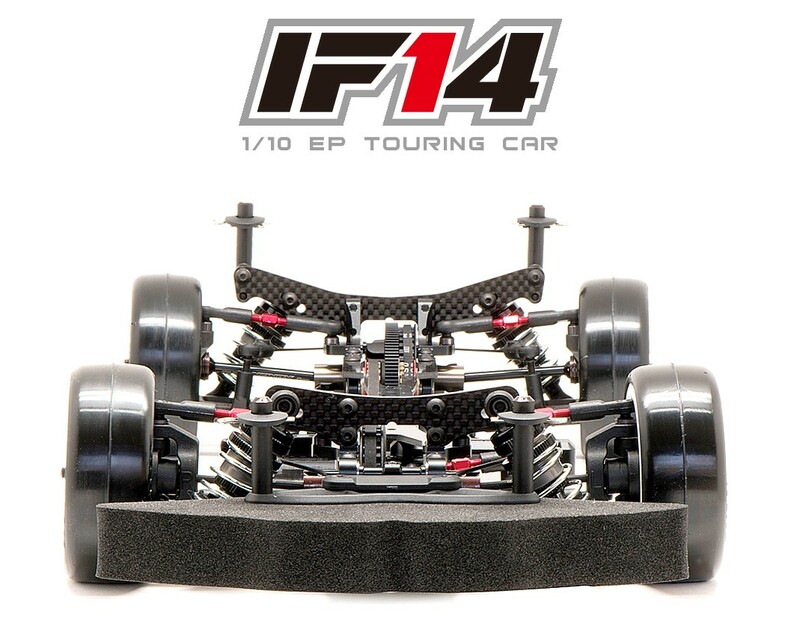 IF11 boasts rigidity, strength and tuning flexibility to provide an excellent racing car. Kingpins, coil-spring front suspension and side link 3P rear suspension contribute to superb handling and high traction. IF11 and INFINITY will keep striving to improve and push your performance to the next level. 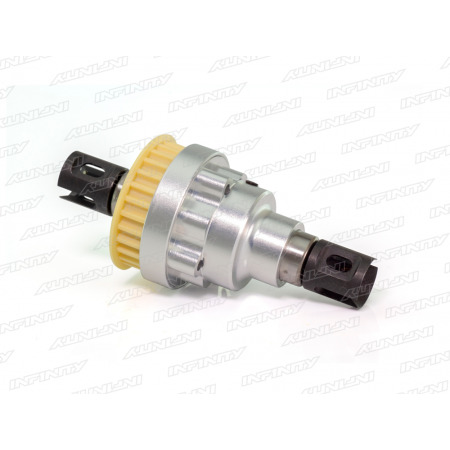 The newly designed gear differential for IF14 offers smooth rotation and high rear traction in all conditions. 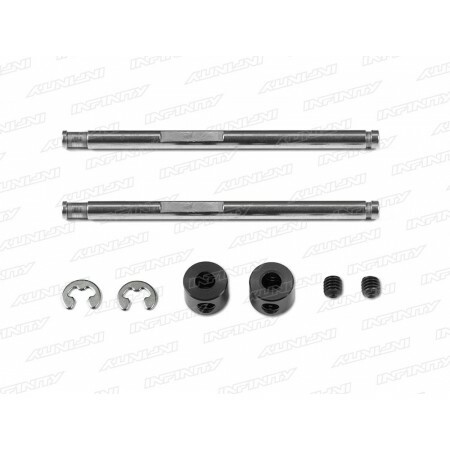 The differential shafts are now supported by ball bearings for added stability and consistency during runs. 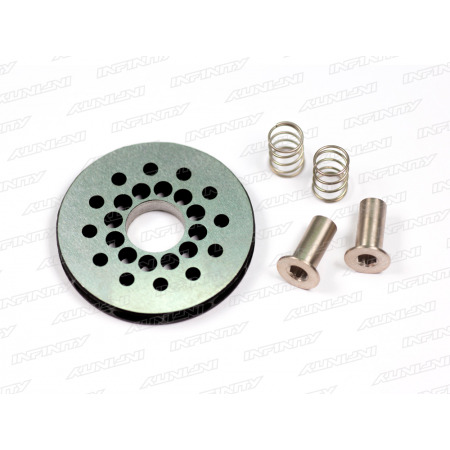 Outdrive cups can now be replaced from the outside without the need to open the diff making maintenance quick and easy. Firmly fixing both ends of the upper suspension shaft with an E-ring and a stopper gives you added security from vibrations during long finals. 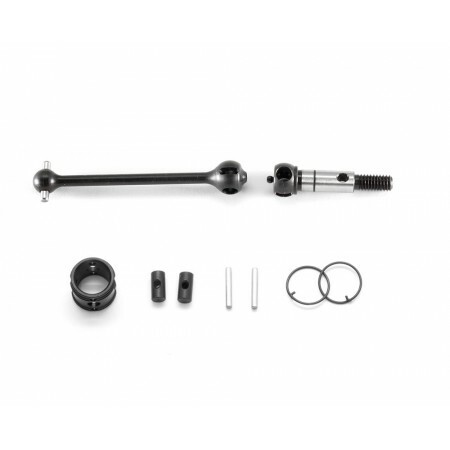 This carbon rear axle for the IF11 ball differentials greatly improves throttle responses, especially on high-grip tracks. 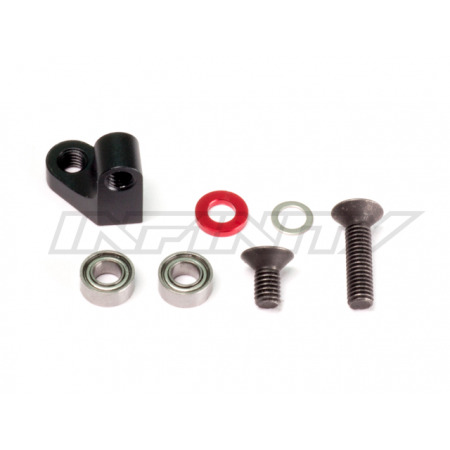 Replacement parts for G125 Adjustable front one way set. For use when cup and shaft see general wear and tare. This high flex top deck is slim and designed to keep high rigidity during pitching and still maximize chassis flexibility. 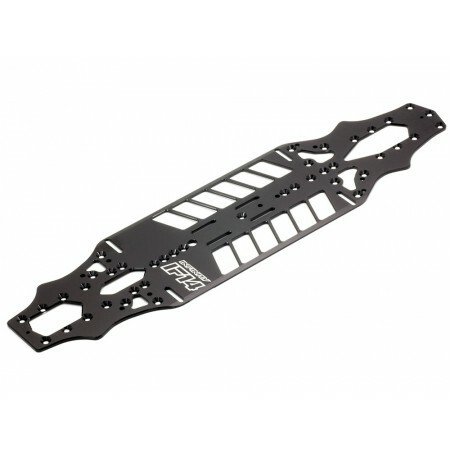 The deck becomes more flexible during the latter half of cornering, so it is also suited for low-grip tracks. 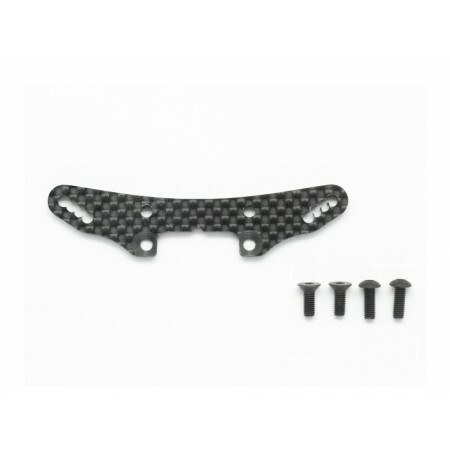 We precisely machined high-quality 2.0mm-thick carbon to make this top deck. 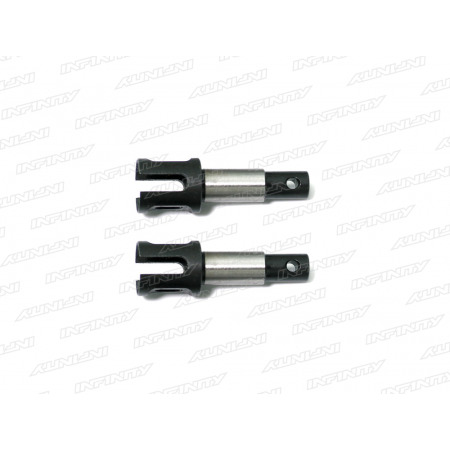 Maintenance and adjustability is greatly improved with this servo saver arm by mounting to the steering rod upper side. Also, by changing and optimizing the arm length of the servo saver, the steering response will be higher than before. 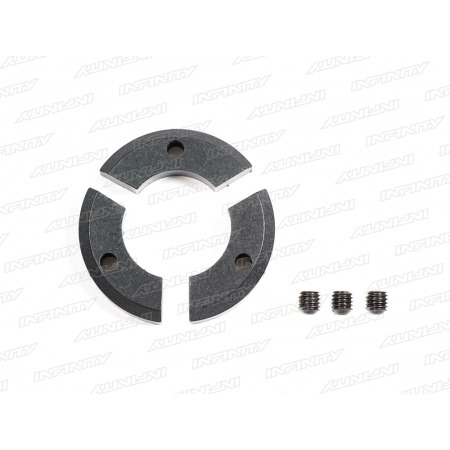 By adding these wheel shims between the hex wheel hub and the wheel, you can fine-tune the cars track width quickly. 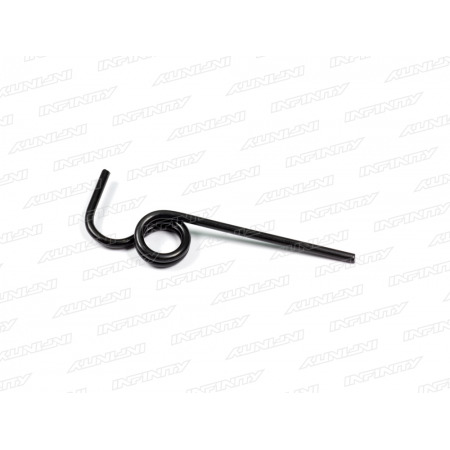 Available in two thicknesses of 0.25mm and 0.5mm. 8pcs are included in each. Option part for Infinity IF18. 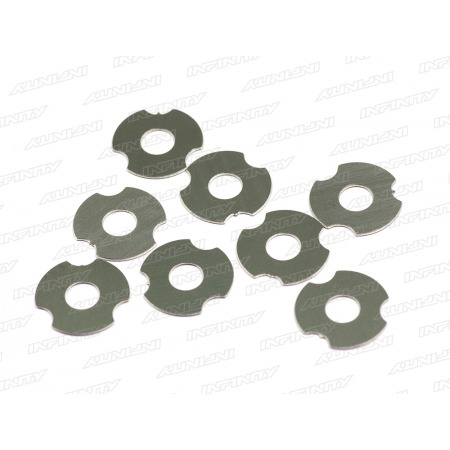 This brake disc offers a more stable braking performance during long runs. 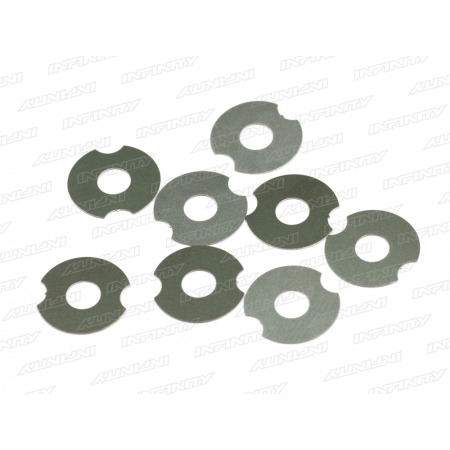 The disc is made from thicker material than the standard item and also vented to efficiently dissipate heat. Improved brake feeling, spring included. Making the material harder than the standard kit version the flex of the arm is reduced and rear traction is increased. Offering increased consistency in high grip and high temperature conditions. Making the material harder than the standard kit version the flex of the arm is greatly reduced. Offering increased response at high speed and improved consistency in high grip and high temperature conditions.